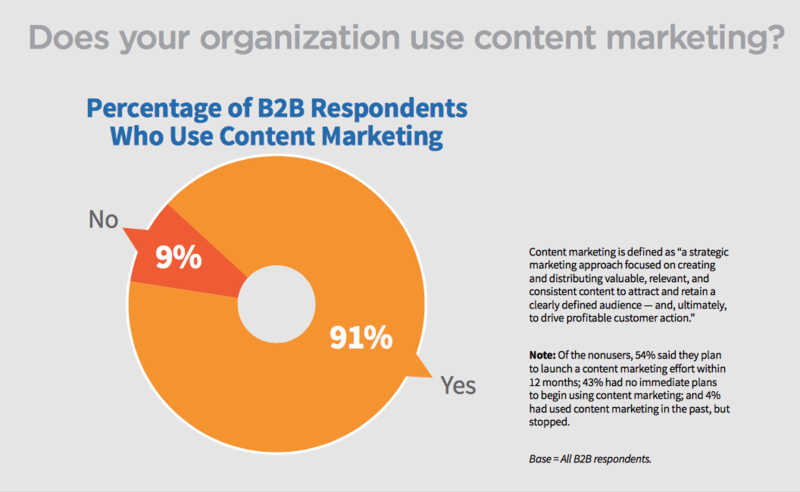 Why are so many companies committed to content marketing? Because it works, that’s why. Why does it work? Because today’s consumers no longer trust traditional marketing or advertising tactics. Cold calls, junk mail and email, printed ads in magazines and newspapers, posters and billboards, TV and radio commercials, even paid for “in-your-face” pop-up ads on websites – these are all intrusive and interruptive marketing techniques that many people have simply had enough of. 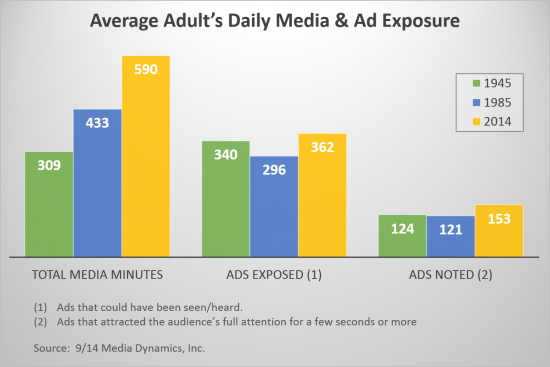 In 2014, a Media Dynamics study found that the average adult is exposed to around 360 ads a day. However, of these, only 150 or so were actually noted, and far fewer made a strong enough impression to be recalled later – let alone drive a sale. Other, more recent studies have estimated that if you include all the brand labels on food items, clothing, and other consumer products, the average person is exposed to somewhere between 4,000 and 10,000 advertisements a day in the Western world. Whatever the exact number is, one thing is clear – we are being bombarded with ads from all angles on an almost constant basis. As such, it should come as no surprise that people have become largely impervious to traditional advertising. In fact, we’ve learned to tune out ads so that we don’t even see them – a phenomenon known as “banner blindness”. This is a problem for brands trying to get their products and services discovered online. The more ads that are created and released, the less effective they get – even the most well-crafted advertising messages become little more than noise amidst all the clamour. Content marketing is the solution. Instead of shoving marketing messages down people’s throats, the vast majority of brands are now invested in crafting useful, relevant, and valuable content as a means to win the attention of target customers and prospects. Far from being intrusive, content marketing is all about helping customers find you at a time and place convenient for them. It also takes a more personalised approach than traditional advertising or outbound marketing, and aims to solve people’s problems and create lasting relationships with satisfied customers over time, as opposed to simply going for the hard sell. Sound good? 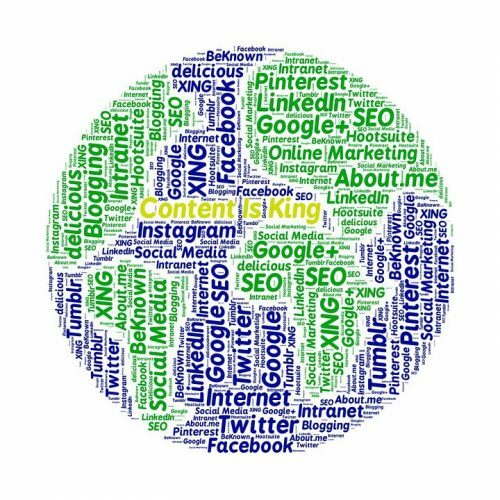 It is – but what is content marketing, really? It’s a good, concise definition that certainly explains the purpose of content marketing, though perhaps doesn’t quite get to the crux of the matter, which we believe to be in the understanding of what content actually is. I know from experience that many people believe that content marketing is all about blogs. It isn’t. To be fair, blogs – like the one you’re reading now – do take a leading role in many content marketing strategies. However, good strategies are so much more than your weekly blog post, and the term “content” covers much, much more than blogs. “Content” refers to every single piece of information you create that is designed for consumption by your customers and prospects. This list is not exhaustive by any stretch of the imagination. Many businesses think they are doing content marketing by simply publishing a new blog post once a week. And while of course that is technically true, they are only scratching the surface of the discipline, and will likely only be seeing meagre results. In 2018 and beyond, a more holistic approach needs to be taken to content marketing if meaningful outcomes are to be achieved. 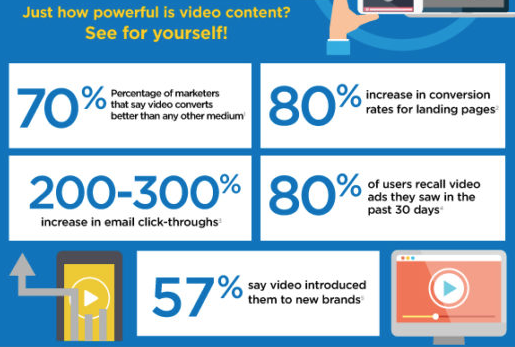 Are you using video as part of your content marketing strategy? You should be. Videos are versatile, engaging, and easy for people to share across multiple platforms. Consumers like videos because the content is easy to digest, visual, and entertaining. Everything from “How to” tutorials to “behind the scenes” snapshots and “influencer interviews” can add real value to your brand, help customers understand your products and services, and boost your appeal and presence on the web. Video also helps your SEO rankings. Search engines love video because it is deemed high-quality and highly-relevant content. Indeed, Cisco forecasts that 82% of all internet traffic will consist of video by 2021 (up from 73% in 2016), meaning that video is increasingly becoming the true marker of online relevancy for any content publisher. Though video and other visual content – like the infographic above – are all important parts of content marketing in 2018, the written word remains vital. Content marketers must remember to go beyond the blog with their written content, however – not least because good content marketing is all about creating a lead flow and capturing contact information from potential customers. Videos, infographics and blog posts are all great at generating traffic to your website. However, they are all – generally speaking – short-form, designed to pique interest. A good content marketing strategy needs to do more. Once visitors have arrived at your website, you need to separate the wheat from the chaff – i.e. figure out who’s actually interested in buying. One tried and tested method for achieving this is through the use of “gated” content – i.e. content that can only be accessed in exchange for an email address. This is your high-value content – white papers, eBooks, and case studies. Each of these will typically be much longer than your average blog post, and will deliver in highly-detailed terms the precise value proposition of your product or service. Anyone who downloads any of this content is clearly in the consideration stage of the buyer’s journey – not just window shopping, but actively educating themselves about your offering. With email addresses captured, you must then nurture these prospects further along the buyer’s journey with careful and considered email marketing – offering more free content to educate prospects even further and add value to your brand. 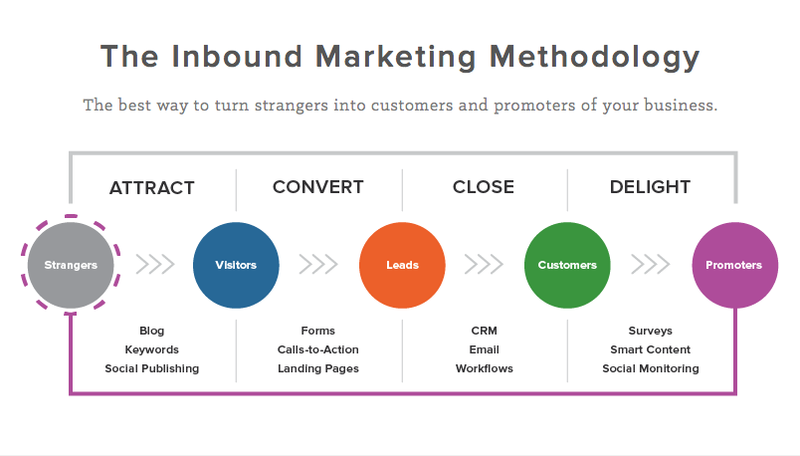 Read our in-depth guide – “5 Tactics for Inbound Marketing Success” – to learn more about how content marketing fits into the inbound lead flow. Social Media… and the Rest! Content marketing simply isn’t possible without a social media strategy. Social media is where you will promote your content, build audiences, create brand lift, and direct buyers towards your website. But you must remember that every tweet you post, third-party article you share, and comment you make on Facebook, LinkedIn, Pinterest, Instagram or anywhere else is all part of your content marketing strategy. Content marketing, indeed, covers it all – and the more creative you can get with it, the better. Social networks are the perfect places to run competitions, for instance, or conduct polls to garner consumer insight into what’s going on in your industry. They’re also a great place to get ideas about what topics to cover next in your content – what questions does your audience need answering? To be clear, a regular blog will nearly always form the cornerstone of any content marketing strategy. No matter what other content marketing tactics you employ – video, long-form, social media – your blog will serve to back them up. Infographics may communicate interesting stats in easy-to-digest bite-sized chunks – but your blog will explain why they’re important. A 30-second video may grab attention and get your key messages out there – but your blog will pore over the details and help readers extract the real value from your contributions. In short, blogs will always be one of the most important facets of your content marketing efforts – but they are not the be all and end all of a successful strategy. Today, the brands that make the biggest impact online are those that move content marketing beyond the blog, and embrace multiple formats across multiple channels to create lead flows that convert. Need a content marketing solution that covers all bases from blogs to eBooks? Cope Sales and Marketing can design and execute a multi-format content strategy that will help grow your audience and start sending qualified leads down your sales funnel. Please take a browse around our site – www.cope-salesandmarketing.com– and use our Contact Page to get in touch. We’d love to hear from you, and will be very happy to chat through your requirements.